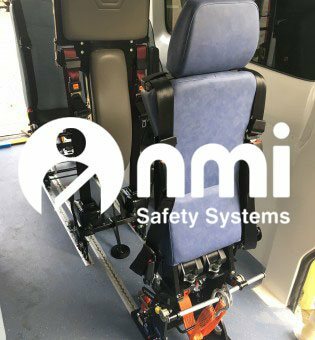 NMI supply our patented Rotating King RIPS (Rear Impact Protection Seat) for PTS ambulances. Combining a seat and a wheelchair docking station which slides and rotates for ultimate versatility and safety. 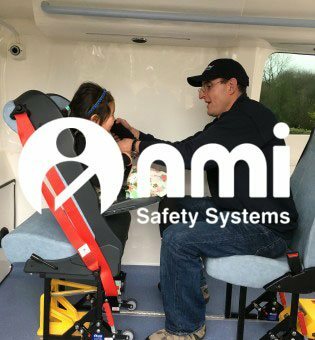 NMI supply our Saferider for PTS Ambulances and Single Wheelchair Carrying Vehicles. 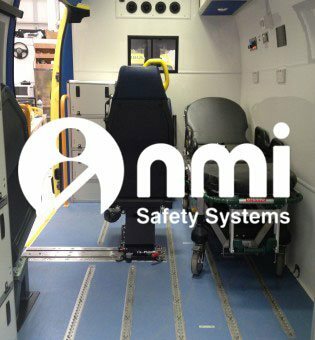 NMI supply our fixed RIPS in Accident and Emergency ambulances. 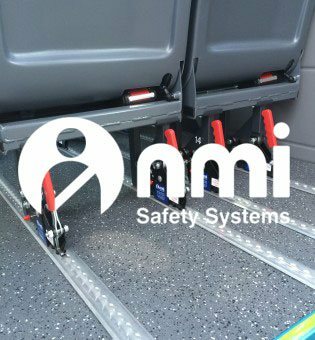 NMI supply our patented stretcher lock fittings for use in Accident and Emergency and Bariatric ambulances. Browse our range of Medic Seats here. 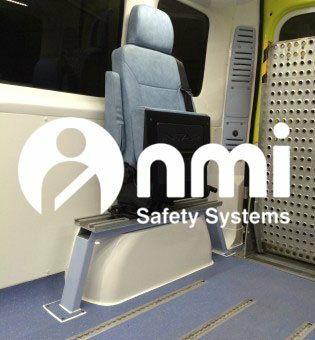 The NMI sliding wheel arch seat provides clever solution to an age old problem, slide it along to suit your needs. The seat also reclines and folds away.